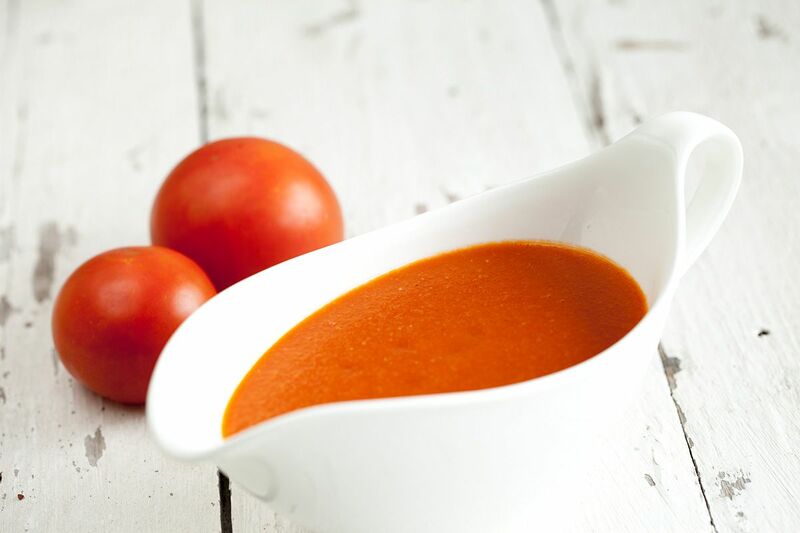 Tomato sauce is one of the 5 mother sauces, that’s why we think it is important for you guys to know how it’s made! The following recipe comes from the big master Escoffier. Auguste Escoffier was a very important French chef. 70 gram (2,5 oz) salt pork, like bacon but the fattier (more white) the better. First of all you need to cut all the ingredients the right way. Carrots and onions need to be diced, the pork or bacon in thick pieces and also all the tomatoes in chunks. Don’t forget to remove the core from the tomatoes. 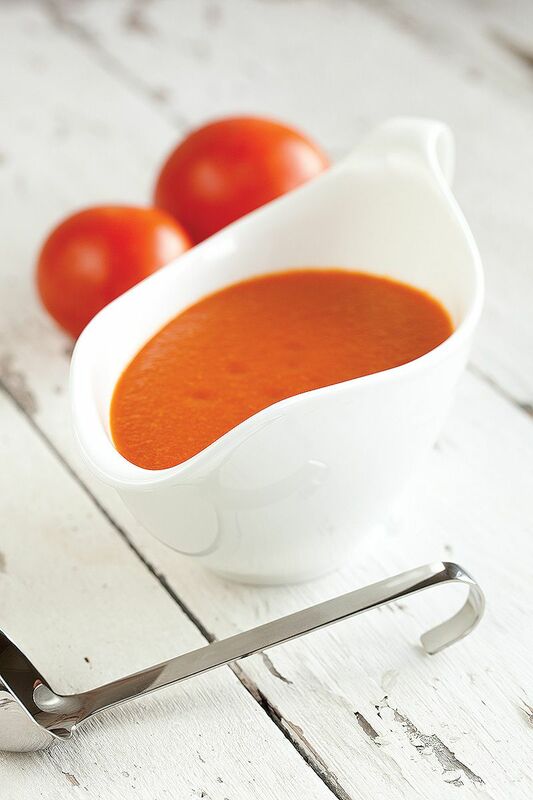 Easiest way to do this is to quarter the tomatoes, then scoop out the core using a spoon. After everything is ready to use, you’ll need to render the fat. That basically means you will sort of fry the salt pork or bacon. Place the bacon and a tablespoon of water in a saucepan with a heavy bottom. Cover with a lid and place on medium heat for about 5 minutes. The water will prevent the pork from turning brown of even burn. Add the butter along with the carrots and onion. Sweat them for about 5 minutes on medium heat, or until they are softened. Stir in the flour and continue to cook for a few minutes. This way you use the fat and butter to make a roux. A roux is used as a thickening agent. Add in the chopped tomatoes and continue cooking until the tomatoes are softened as well. You will notice they start releasing some of their liquid. Crush the garlic clove, peel and add it to the saucepan, also add the white veal stock. Cover the heavy saucepan with a lid and let it simmer on low heat for at least 1 hour. 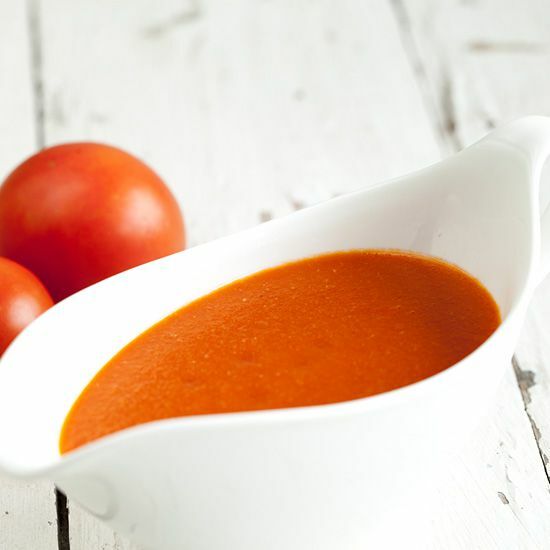 For a better sauce let it simmer for 1,5 to 2 hours. Escoffier’s recipe tells us to pass it afterwards through a Tamis, sort of a fine sieve. We’ve first pureed the sauce in the blender and then pass it through a fine sieve. SEASON with salt, pepper and a pinch of sugar. I’ve never made this sauce. Maybe because it seems to be a LOT of work. It looks great though.